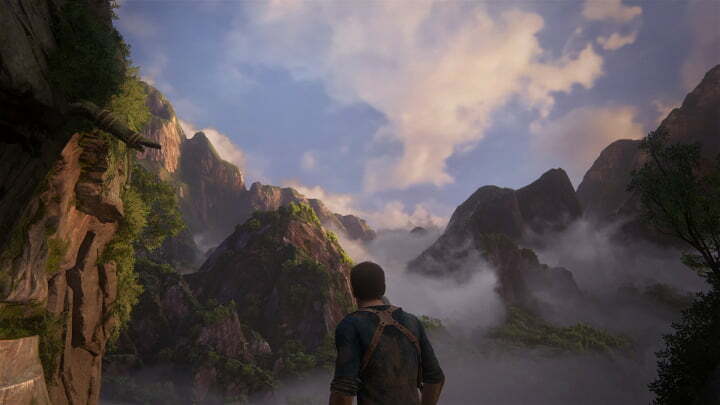 One of the (many) joys of Nathan Drake’s final adventure is the Uncharted 4 photo mode. Here’s some of our best efforts. Reviewing stuff can be really exciting. You get your hands on a game early and power through it as quickly as possible, feeling the joy of discovery and the rush of an impending deadline, bundled together into one over-stimulating package. 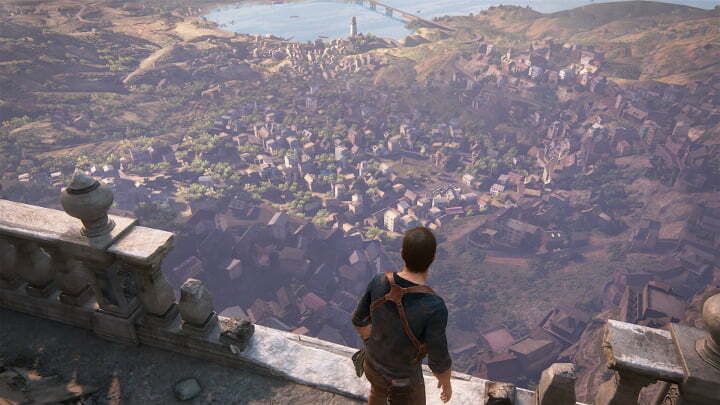 It can be a real thrill, assuming of course that the game itself is actually enjoyable. Sometimes what’s even better than reviewing a game, though, is actively not reviewing a game. 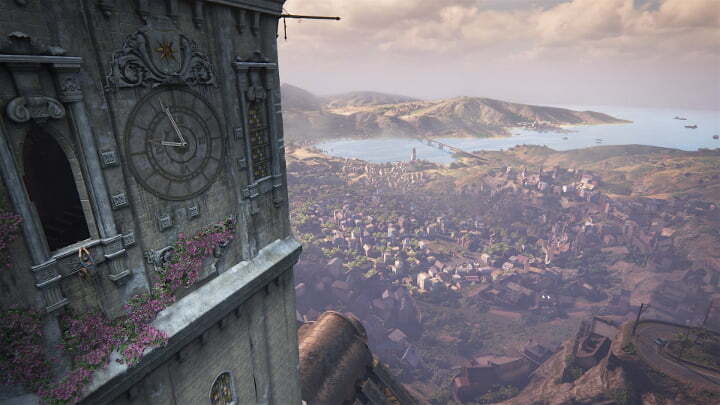 When it’s something that you’ve really been looking forward to – as Uncharted 4: A Thief’s End was for me – then it’s actually rather splendid to cast off the shackles of the reviewer, and simply enjoy the experience in the way the developer intended. Take your time and sip at the experience, without distractions or determination. No notepads. No laptops. No dictaphones. No deadlines. No incessant screenshot-taking. 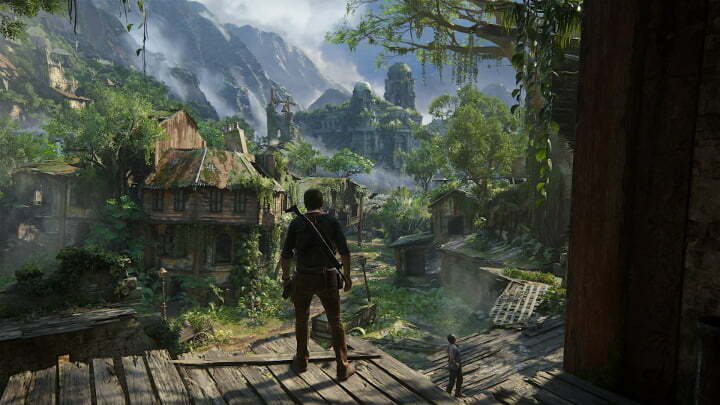 One of the real joys of Nathan Drake’s final adventure – one of the many joys, it has to be said, in a game filled with plenty – is the Uncharted 4 photo mode. I don’t always spend a great deal of time with photo modes while gaming for leisure, probably because if you’re spending much of your time snapping screens to go alongside a review, then doing it ‘for fun’ suddenly feels like something of a busman’s holiday. 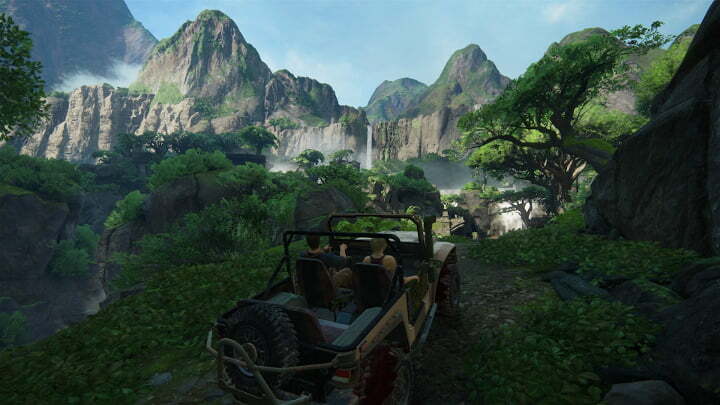 The staccato interruption of your daily grind – like a mobile phone’s email notification going off every five minutes in a movie theatre – usually works to ruin the mood, but with the Uncharted 4 photo mode that thankfully wasn’t the case. 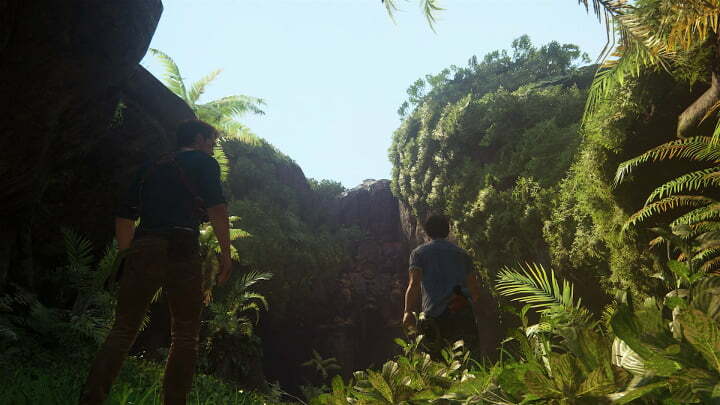 I resisted the Uncharted 4 photo mode, for a time, because of that feeling of bringing your work home with you was hard to shake. 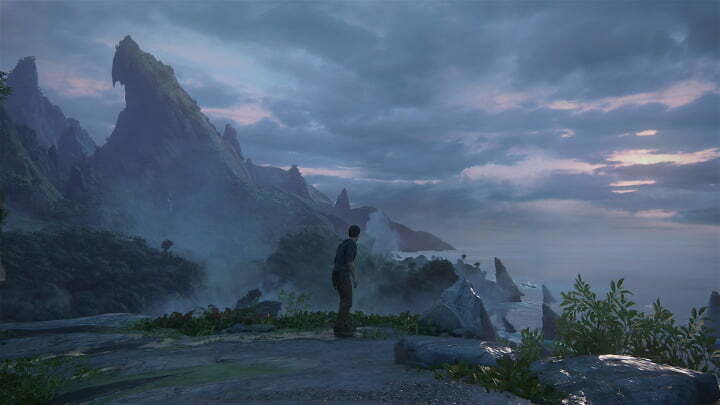 But Uncharted 4 is just so damn pretty, and is realised in such an accomplished and cinematic way, that stopping to drink in the environments is an absolute must. I realised, after perhaps my tenth time of just standing on a high ledge gawping at the stupendous scenery, that if I were on holiday in real life and found a vista that breathtaking I would undoubtedly take a picture or two; for posterity’s sake, but also for my own pleasure of framing the shot, and taking an extra beat to truly appreciate what I was looking at. I realised I wouldn’t be taking screenshots as perfunctory visual aids to go with some text, for my normal, industrial purposes. I would instead be taking captivating photos (mostly; see the end of the article…) for their own aesthetic sake and my own enjoyment. And now, long after completing the game and much like a travelogger returned from their latest adventure, I’ve come to tack on a few descriptive sentences to accompany them and turn the images themselves into the article. 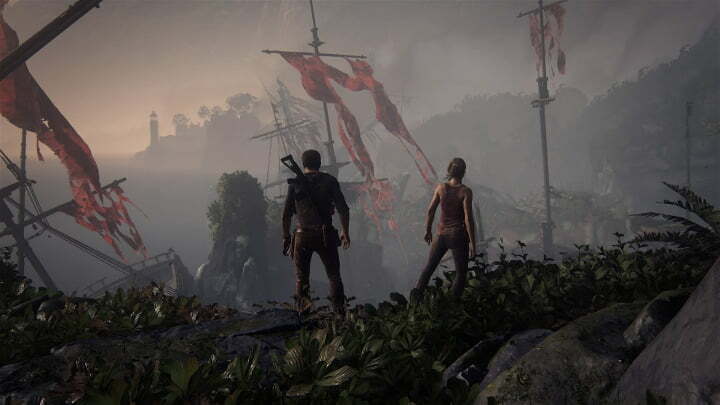 With more than a little reluctance, I clicked down on both analogue sticks on the DualShock 4 controller, and fired up the Uncharted 4 photo mode. 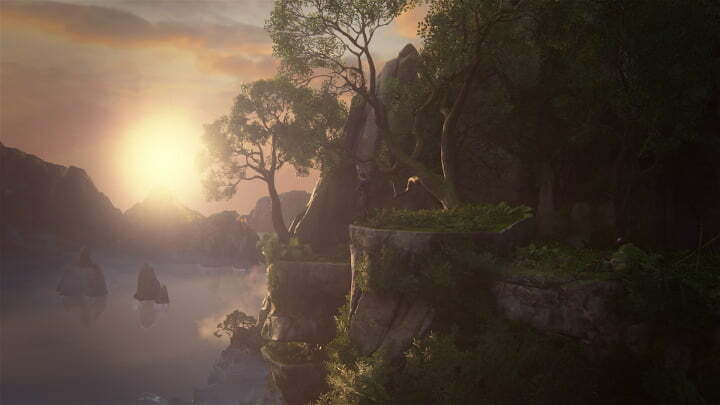 Mild spoiler warning: Could maybe spoil some bits of the game (by showing you future locales and which characters are in them) but doesn’t give away any major plot points and without any context it’s all pretty meaningless; they’re just pretty pictures, if you don’t know exactly what they’re pretty pictures of. 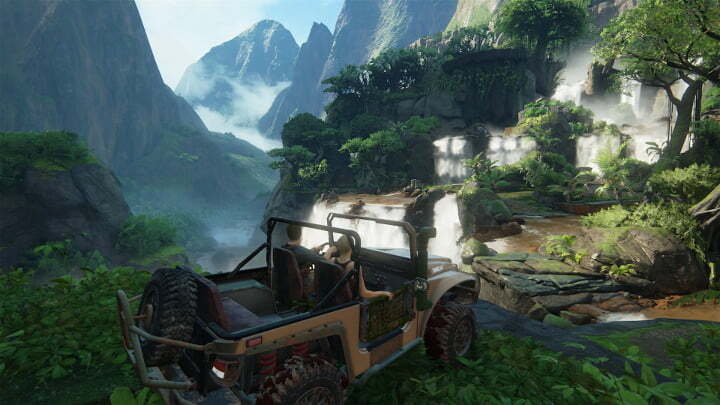 This was the first Uncharted 4 photo mode image I took. Absolutely not the best shot in my collection, particularly with Nate’s dirty blue overalls in the centre of the frame, but it’s a gorgeous sunset vista all the same. My first – and only – experiment with filters and framing in the Uncharted 4 photo mode. I felt like they were a twiddly distraction and didn’t add anything to the overall composition. 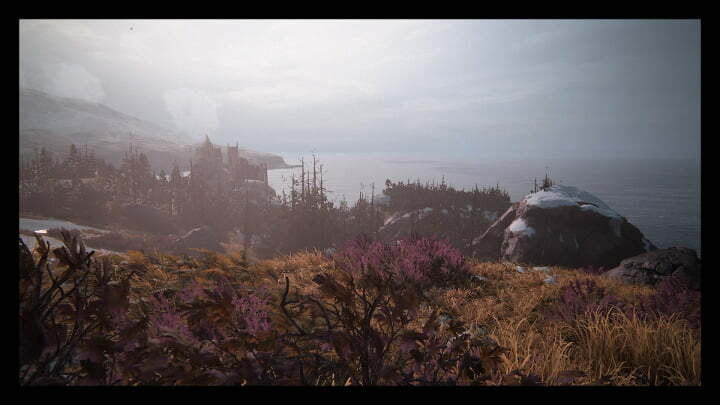 Pretty heathland scene, though. Not pictured: Sully’s plane, just out of shot on the right edge. 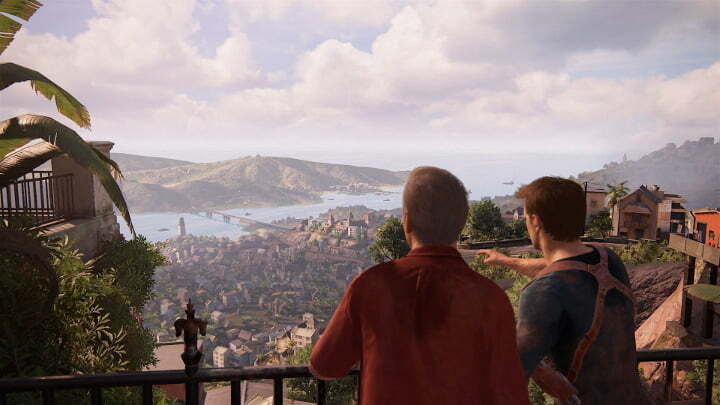 I absolutely adored the ‘lads on tour’ section of Uncharted 4, and this is one of my favourite images from it. 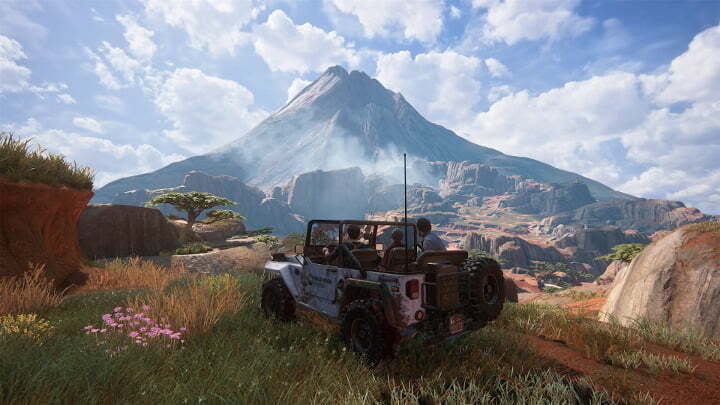 Just three guys, in a 4×4, having an adventure; if you’ve not yet played the game please make sure savour every minute of these chapters, because they’re a triumphant delight of semi-open exploration and (largely incidental but incredibly entertaining) dialogue and voice acting. I call this image ‘just hanging around’. 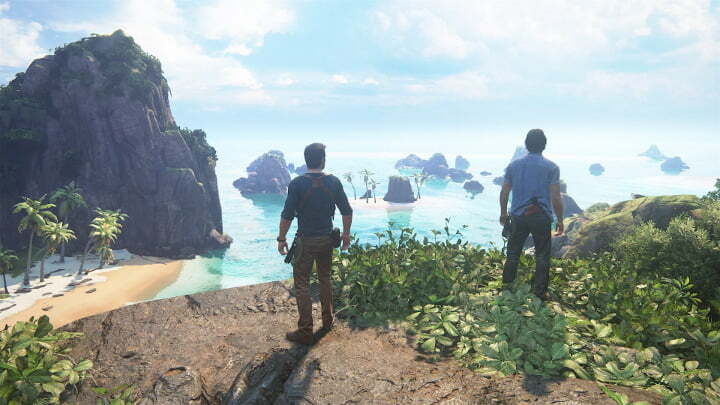 It’s a fairly typical representation of Uncharted 4 gameplay – including lateral thinking to climb around obstacles and the faux danger of crumbling ledges – but what a view! We’re all familiar with this image (from that spectacular E3 trailer) but it’s at this point I became almost as interested in snapping the characters doing something interesting in their interactions with one another, as I was with the beautiful views. 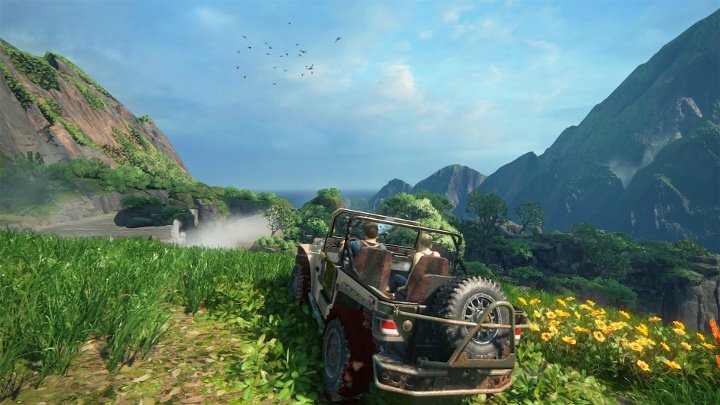 That being said, this (and other ‘candid’ images) still usually contain beautiful views; they’re kind of hard to avoid in Uncharted 4. 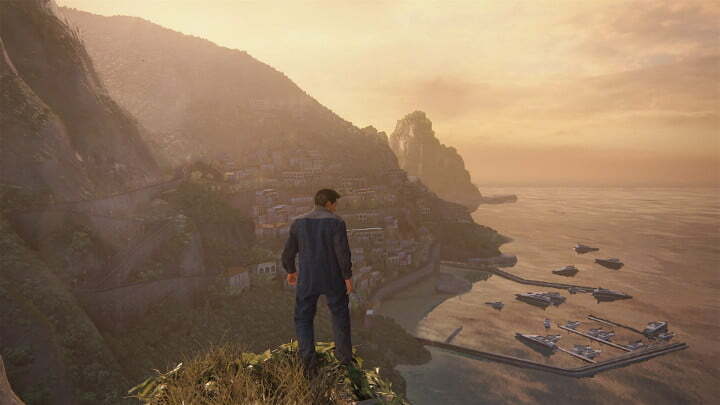 This game really is stupendously pretty, isn’t it? 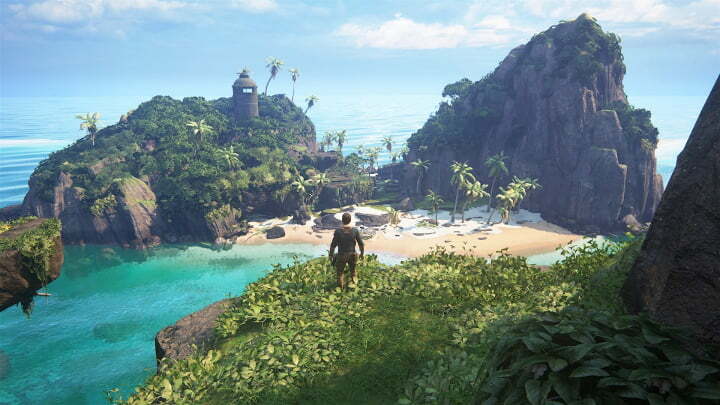 During my Uncharted 4 play-through I watched one of the Pirates of the Caribbean films – I forget which, but the point is, that was a huge budget Disney movie shot entirely on location – just for comparison, and it looks like it was all filmed in a sound studio in the Midlands compared to this game. 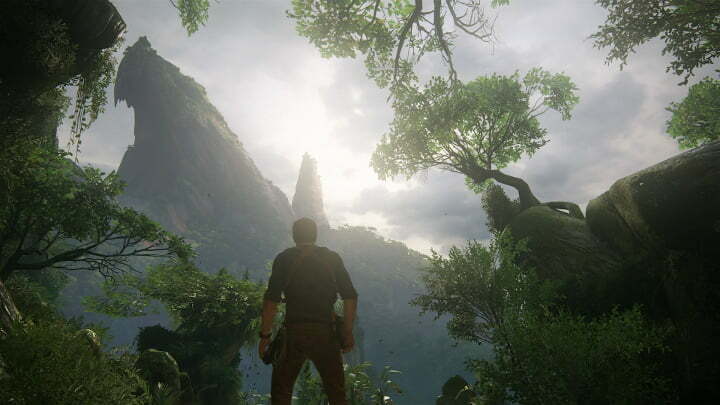 There is the option to turn off characters in the Uncharted 4 photo mode, for a more realistic taken-by-Drake perspective, but there’s something lovely about seeing the man standing, monolithic, echoing the big old structure he inevitably has to climb. 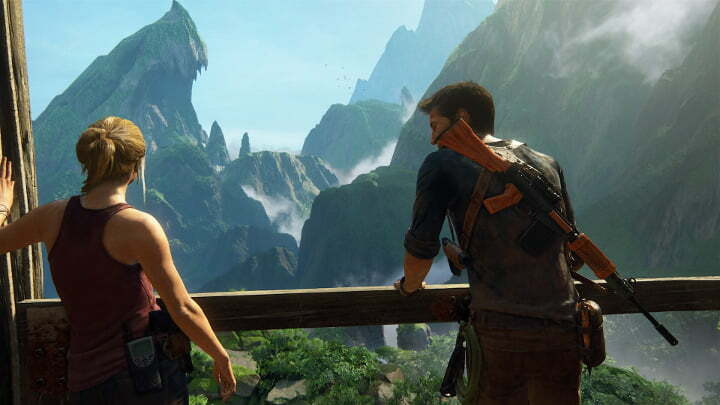 One of the absolute joys of the Uncharted series (and the hallmark of so many Naughty Dog games) is the buddy system. 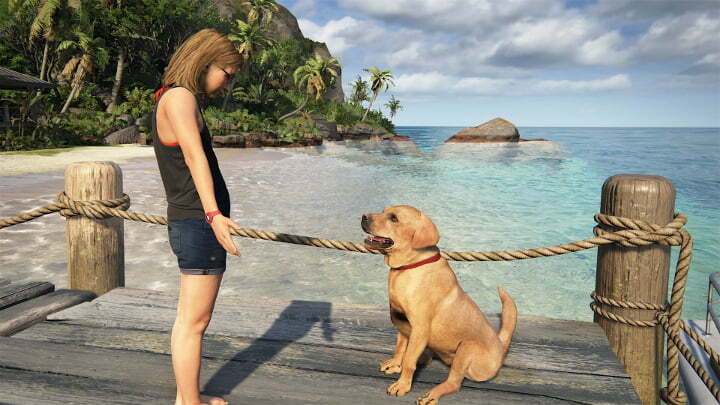 It’s come to be known for the ‘Naughty Dog boost’ – using your AI companion to traverse the environment by boosting them over high obstacles – but having someone else there, to share in the sheer wonderment of a game that is by its nature about discovering new things, really makes all the difference to the experience. One of the aforementioned taken-by-Drake images. 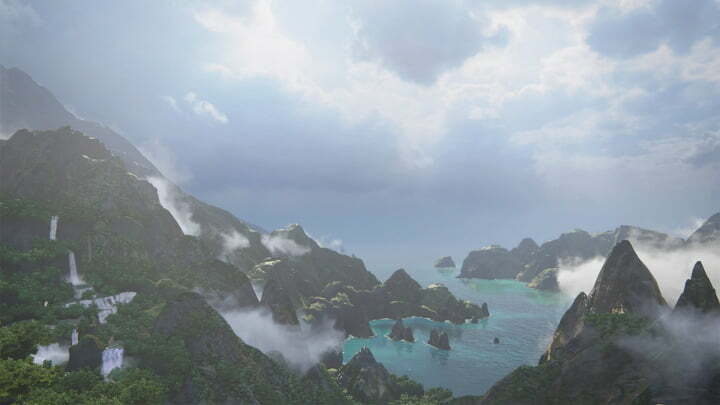 Lovely and realistic cloud, mist and water effects, but possibly lacking a little drama without a human focus. Driving Miss Elena – part 1. Driving Miss Elena – part 2. Driving Miss Elena – part 3. Much like the ‘lads on tour’ section from earlier in the game, the shorter ‘holiday with the wife’ chapters are also beautifully put together, fantastically scripted, and performed flawlessly by Emily Rose and Nolan North. Strange as it sounds, this dull little number is actually one of my favourite images. The entirely undramatic nature of it, of a voyeuristic peek into a couple’s conversation, it just feels so natural. 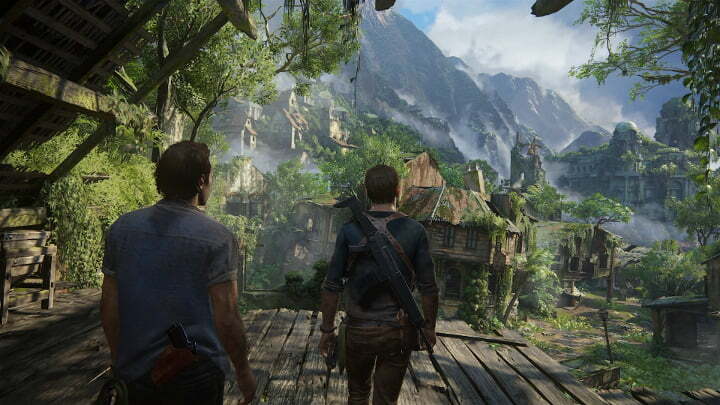 It really makes you appreciate the fact that Uncharted 4 – with its impeccable standard of voice acting and motion capture – is one of the first games to truly make it out of the uncanny valley. Really, really pleased with how this one came out. It’s just so stark and dramatic, with the designers’ use of bold red colours standing out from a colour-washed environment, echoing 2001: A Space Odyssey. 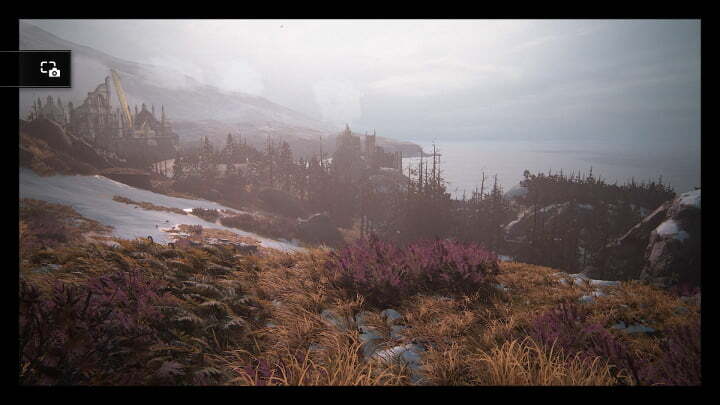 There are lots of bleak sights in the underground areas of the Uncharted series, but to find this one when you’re coming over the hill top expecting a picture postcard vista, yet the scene is still somehow beautiful? This one carries more impact than the others. … and find this glorious sunset. 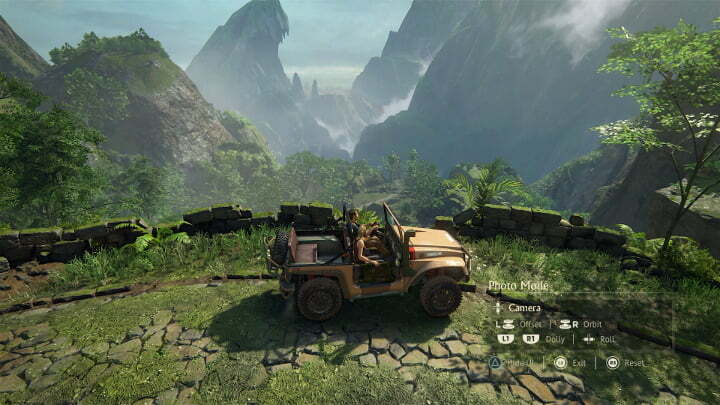 These three images, that build up this evolution of a shot in Uncharted 4 photo mode, are really a perfect metaphor for the game itself: it keeps impressing you, and it keeps showing you amazing things that you think will never be beaten, then you turn that next corner and find that somehow, it just keeps on excelling itself. What was I just saying about a little more pay-off waiting around the corner? Yeah, that. 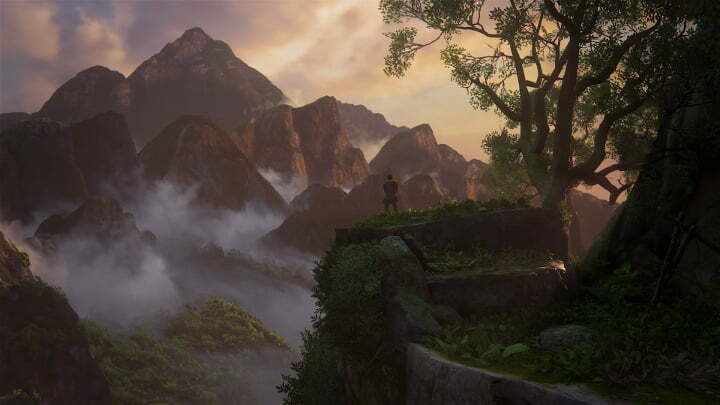 This image won’t make a great deal of sense and certainly isn’t a spoiler if you don’t know the context, but if you don’t know what this is – and why it’s so bloody lovely – then you need to go and play Uncharted 4 right now. Trust me. It always has one more trick up its sleeve, waiting around the next corner. 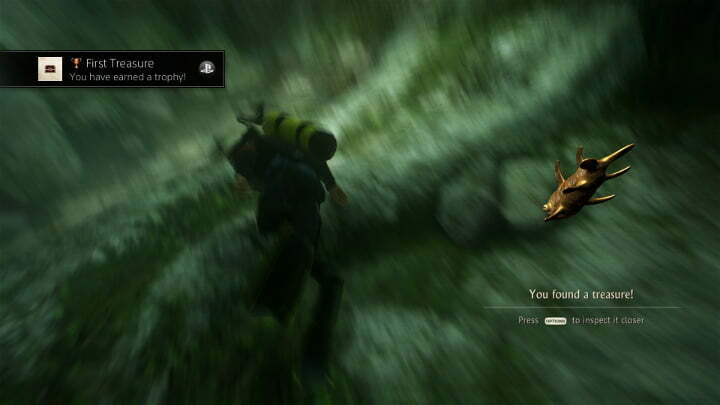 That feeling when you forget the PS4 also likes to screenshot your achievements, automatically, and wonder why in the world you would have taken such a bloody horrible image in such a pretty game. I was scuba diving, by the way, in case you can’t make it out. 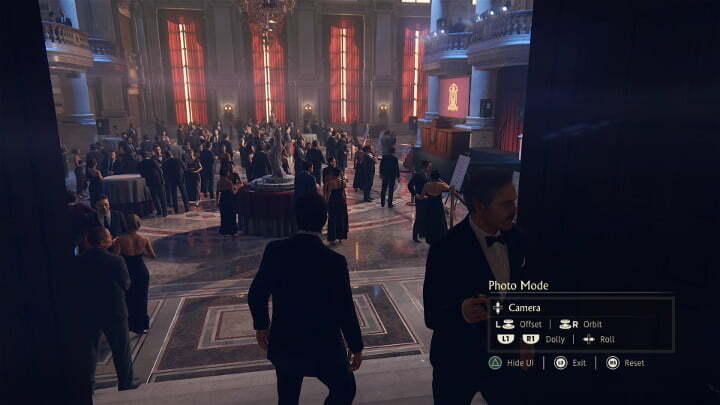 Why does the game even have the option of having the photo mode UI visible in your images? Who would ever want to do that? Seriously. At what point in history did someone say “That screenshot is lovely, but I wish it had more GUI in it!”…? Never, that’s when.